New Zealand’s 10 coolest days of the year will kick off in Queenstown in exactly one weeks’ time when the 2015 American Express Queenstown Winter Festival gets underway. With only seven days to go the countdown to the Southern Hemisphere’s biggest winter celebration is on with the installation of some of the key features, such as the American Express Winter Wonderland Ice Rink on the Village Green, already underway. Queenstown also officially opens for ski season tomorrow (Saturday 13 June 2015) with the opening of both Coronet Peak and Cardrona ski areas. The Remarkables ski area follows a week later, opening on 20 June and Treble Cone on 25 June. 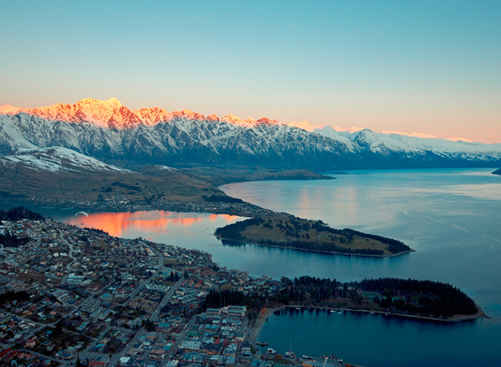 Destination Queenstown CEO, Graham Budd, says Queenstown is looking picture perfect with good early snow conditions on the mountains and excitement in the air as everybody gears up for winter. “With the American Express Queenstown Winter Festival only a week away and the ski season getting under away tomorrow, Queenstown is kicking off winter 2015 in style. We’re set to enjoy a great winter ski season and there are a lot of excited skiers and snowboarders ready to hit the slopes tomorrow. “We love to celebrate winter here in Queenstown and the American Express Queenstown Winter Festival has always been the town’s way of declaring Queenstown open for winter and celebrating that with a fun filled festival for locals and visitors alike,” says Mr Budd. The multi award-winning festival (19 – 28 June 2015) attracts an estimated 45,000 people each year to celebrate winter in style. The festival features 10 days of non-stop fun with on-mountain action, fireworks, street parties, comedy, free family fun and crazy events.